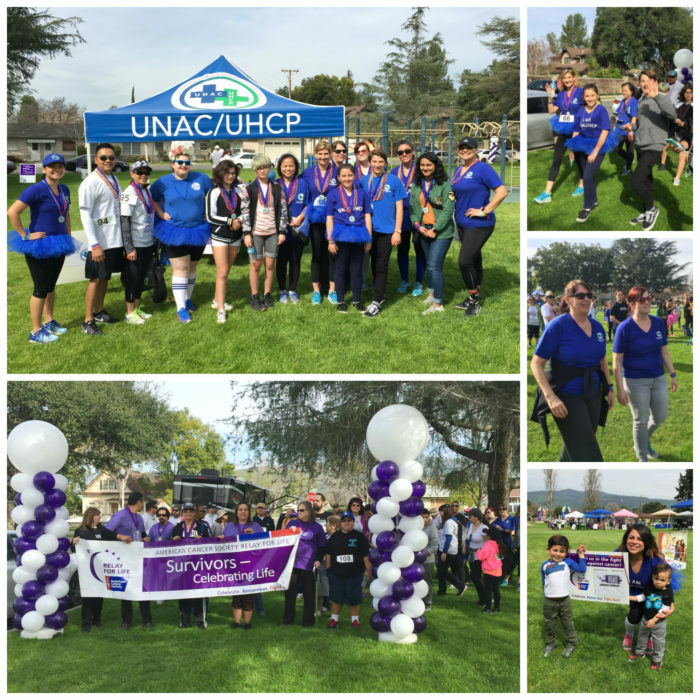 On March 4, UNAC/UHCP walked in solidarity with other labor unions against cancer at the second annual Labor United Against Cancer 5K event. The event at Civic Center Park in San Dimas featured a program that remembered loved ones lost, honored survivors of all cancers, and raised money to help the American Cancer Society make a global impact on cancer. Kaiser Ontario Vineyard Health Care Professionals Association (KOVHCPA) staffed a First Aid booth to keep all walkers and runners safe as they completed their laps throughout the morning. Participants from the United Therapists of Southern California (UTSC), United Pharmacists of Southern California (UPSC), and UNAC/UHCP staff also joined in on the fun.